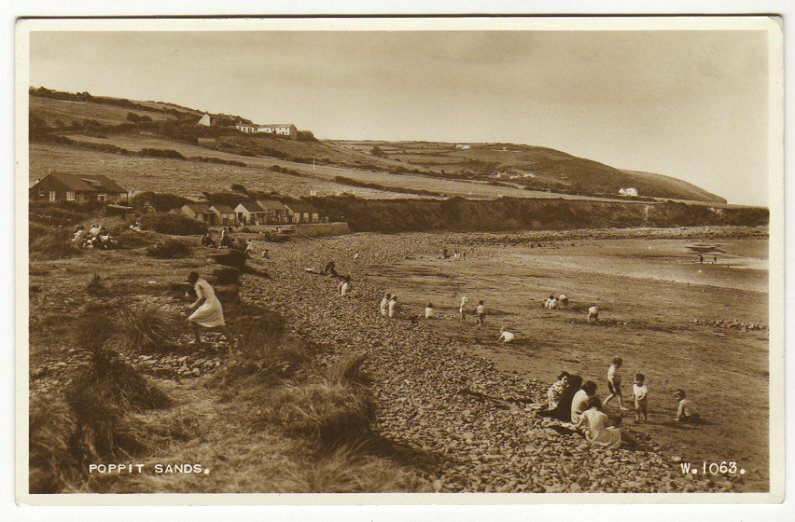 Holiday Cottage for Rent at Poppit Sands, Pembrokeshire – What Will Poppit Sands Be Like In 100Years? Interesting idea as I looked at the beach today. Given how much the layout of the beach has changed over the last 2 years I wonder what it will be like in 100 years. The postcards we have from the 1930’s show a beach of stones with a high wall at the end of the garden. Will Poppit revert back to a less than lovely rocky beach or will the sand continue to build up. Lets hope so, the evidence to date seems to be that we are attracting more sand. The Patch side of the river seems to have a real beach now when the tide is out and I could have walked to Patch in the summer on a really load tide. Not a good sign if you want to try and sail up the river , I’m not sure how much longer that will be navigable other than at high spring tides. The rocks on the west side of the beach unfortunately seem to be disappearing a little more each year, one big storm might expose them all again but who knows? Round the corner towards the old lifeboat station there has definitely been some major cliff erosion after the storms fortunately there are no houses near the edge!